Many people share our desire for the renewal of France. To this end, while you may not be able to with us here in a physical sense, you still can be our partners in this battle for the hearts and souls of the French people. You can do this in two ways. First, you can become one of our prayer partners and secondly you can help us continue to stay on the field with you financial support. We hope that you will seriously consider being one of our regular prayer partners. Those who are committed to regularly bringing the needs of the French people and our personal needs may want to stay up-to-date by sign up for our newsletter below. The prayer of righteous men and women is powerful! We are looking to build a team of at least a 100 people who will pray for us, France and Europe on a daily and weekly basis. Being on the mission field requires the prayers and financial support of a committed and passionate team of Christians. We would love for you to partner with us financially. Would you prayerfully consider joining our team? If you would like to set up a regular monthly donation through automatic withdrawal, please fill out this form or click on the button below to sign up online. This is really helpful for us, as it allows us to plan ministries based on regular monthly givers.Thank you for your love for us and for France. We are the Rileys – Matt, Katie, Micah, Ella, Annalise and Sophia. We have been married 18 years and during that time we have worked in the secular workplace, went to seminary, served as overseas as church planting interns, served in a full-time ministry position in Florida, and now we have been called to serve in France. In 2012, while serving as rector of St. Pauls Anglican in Lynn Haven, Florida, Alongside Ministries International and the L’Eglise protestante unis de France asked us to join in a church renewal initiative in the east of France. So in 2012, we packed up our family of 5 and moved to France. Being in full time ministry and providing our basic needs is an endeavor that takes spiritual and financial resources. 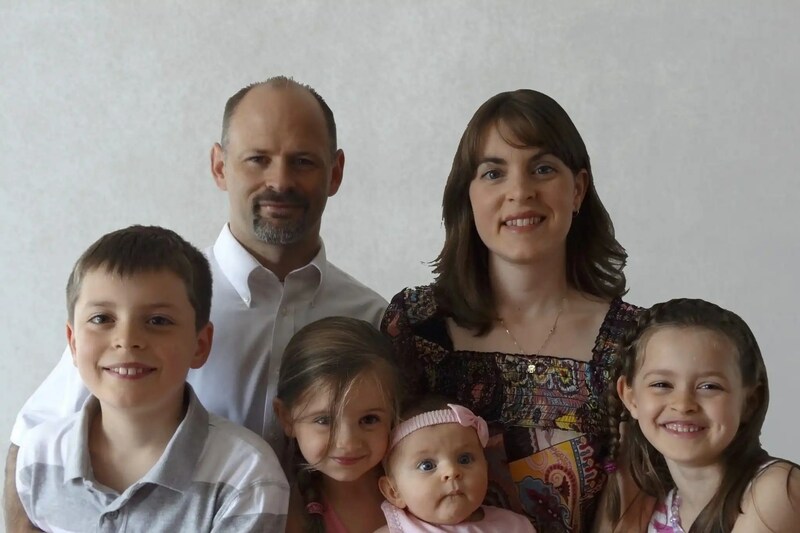 If you would like to be a part of our ministry in France, please click below to fill out a giving form with our sending agency Alongside Ministries.